232 St Cuthbert, James City County, VA 23188 (#10234567) :: Abbitt Realty Co. 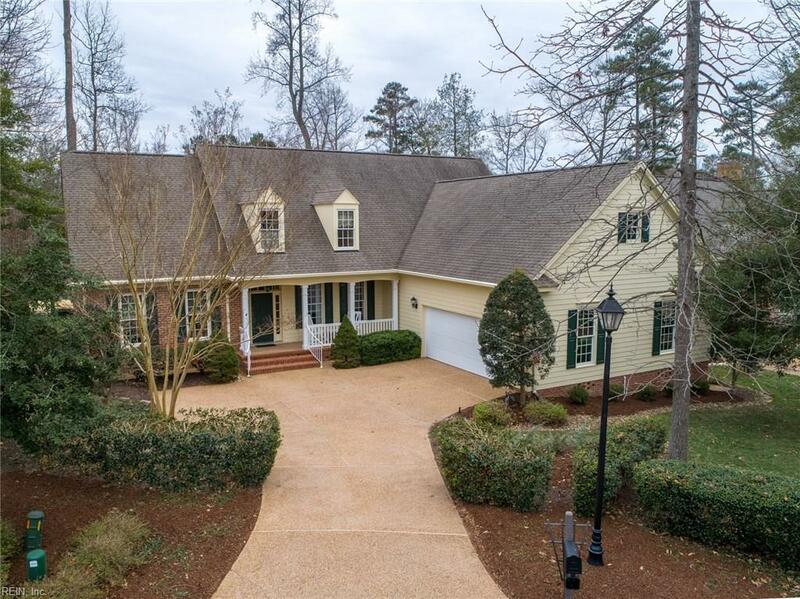 This stunning custom home offers panoramic golf views, a gourmet chef's kitchen, separate and handicap accessible first floor in-law suite, screen porch and more! 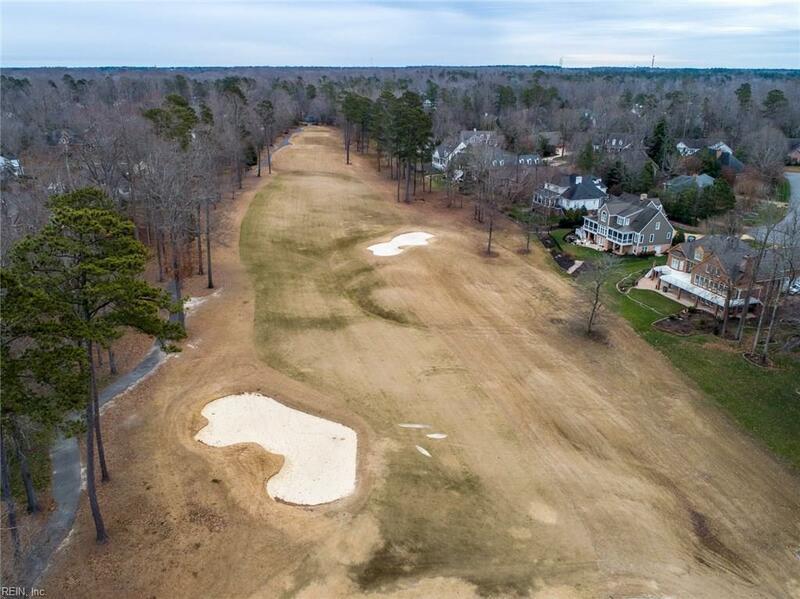 Overlooking a view of the 10th green of the Blue Heron course this home have a maintenance free Trex and vinyl wrap around deck and screen porch from which to take in gorgeous sunsets, relax and entertain. Or, get a closer view under the pergola next to the pond and mini waterfall. 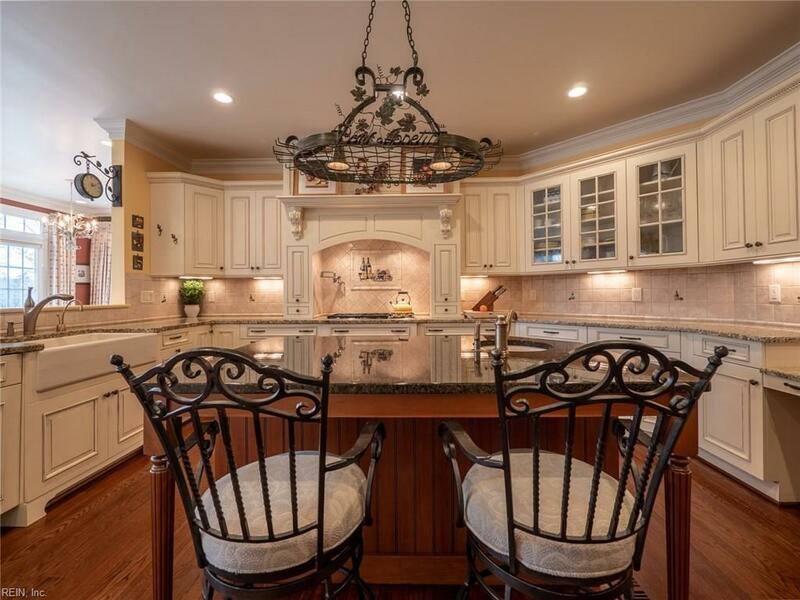 Inside you will love gleaming hardwood floors on the first floor, a stately study/library, and a kitchen to die for featuring Brookhaven cabinets, sub zero fridge and gas range. 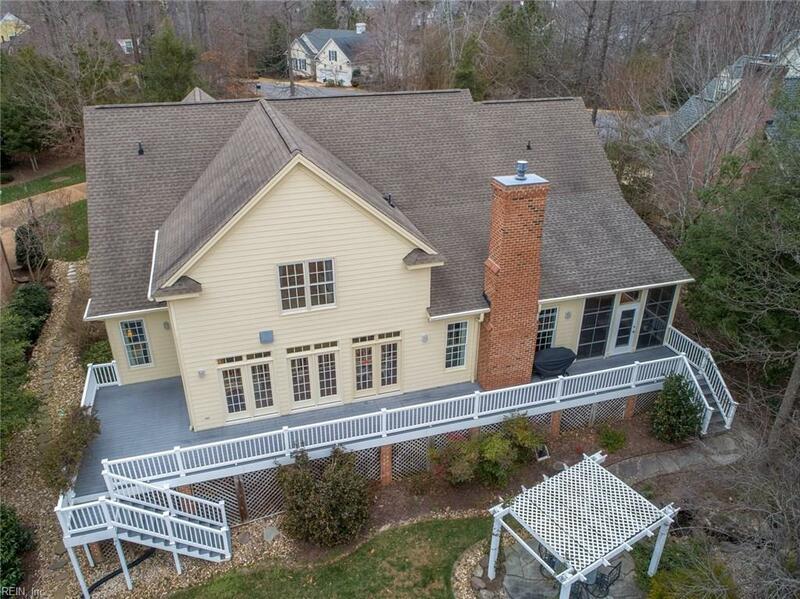 Other features too numerous to list but include: walk in, insulated attic, exercise/craft room, stone fireplace, and oversized garage. Great neighbors in what is perennially one of the top gated golf communities in the country. Must have confirmed appointment to show.